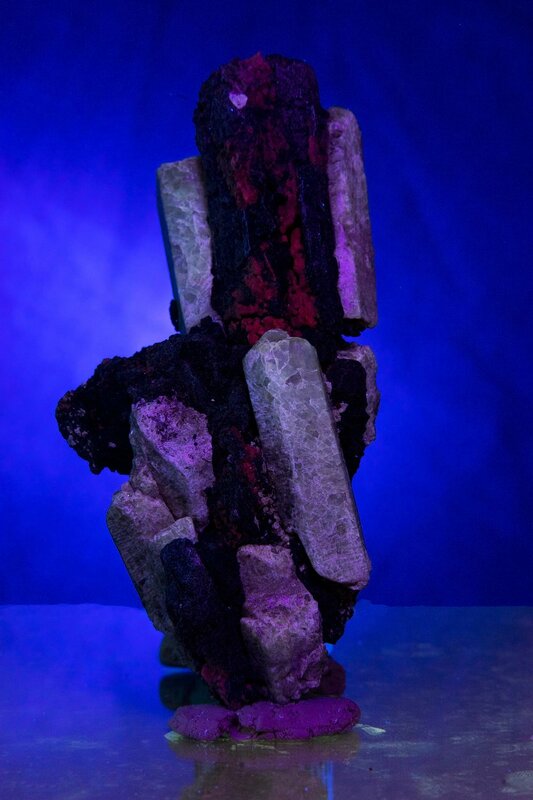 This is a wonderful fluorapatite specimen gifted to me by tess99991 from YouTube. It makes a wonderful daylight specimen as the fluorapatites are aesthetic and fairly well terminated. Unfortunately this isn't the best fluorescent specimen as the fluorapatite is a bit dim with the unknown red in the middle being the brightest fluorescer. Tess99991's channel features wonderful videos of collecting trips from various spots in the Bancroft region where he collects specimens like this one.